The swordsman, Musashi, once asked his young student what his goals in life were. "To be like you" he replied, upon which Musashi admonished him saying that his goal was too small and that he should aspire to be like Mount Fuji, with such a solid and broad foundation that the strongest earthquake cannot move you. So tall that the greatest enterprises of men seem insignificant from such a lofty perspective. With a mind as high as Mt. Fuji one can see all things clearly, all the forces which shape events, not just the things happening near you. As they were walking along a twisting mountain pass at the time of the conversation they came upon a bend in the path above which was an enormous overhanging boulder. The boulder looked precariously balanced yet was securely embedded in the mountain. The student walked nervously as Musashi followed calmly behind. Seeing the fear in his student Musashi used it as a lesson. "You should train to become like this boulder" he said "With most of its strength hidden and yet so deeply rooted you are immovable, so powerful that what can be seen will make men cringe to walk in your shadow." This was what Musashi felt to be the ultimate goal of training - such a presence of intimidation that nobody dared to challenge you. This he exceeded in his rather colourful life but as he matured he came to realise that this was not enough for men still came to challenge him risking all for the instant fame that would come from beating him. Was there an answer to his dilemma? For many years Musashi sought the answer to this enigma and one day he was meditating in a mountain cave with his long time mentor, Takuan, when he sensed a presence and saw a deadly snake enter the cave near to Takuan. He knew that the slightest movement might scare the snake into attacking his friend so he controlled his spirit. A faint smile appeared on Takuan's lips as he let the snake slither across his own thighs never losing his complete tranquillity in the face of death. More amazing than this was the snakes complete acceptance of Takuan as a natural part of its surroundings. As the snake left Takuan and approached Musashi the snake sensed his presence and reared up preparing to strike. Musashi gave no reaction and the snake turned and left the cave rapidly. His skill, power and menace were so real to the snake that it became terrified. Most men would be proud to possess such a powerful aura but Musashi felt shame as for the first time he realised his greatest weakness. Takuan asked him what was the matter and Musashi explained that all his life he had trained to achieve this power and now he had reached his goal all living things instinctively feared him. Takuan said smiling "Since it dared not attack you, you defeated it without striking a blow, and because of your great skill both you and the snake are alive now. Why does that bother you?" Musashi replied "Because I am so strong no one can ever grow close to me, I can never have true peace like you do. You did not fear the snake, nor the snake you, your spirit is so calm, so natural that the snake treated you no differently than the rocks, trees and wind, people also accept you the same way too. Takuan laughed with pleasure that his student had at long last made such an important self-discovery. Musashi spent the rest of his life training to perfect his spirit to be like Takuan. 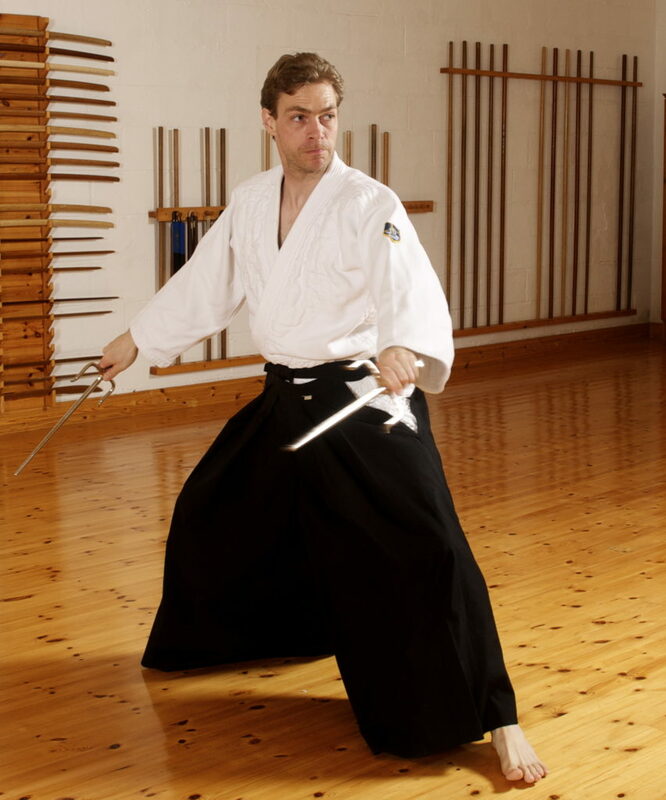 This is the ultimate ideal of Martial Arts training and is known as Heijoshin or 'constant stable spirit' or peace of mind both inwardly and outwardly.